The Cabinet of Living Cinema’s score to Harold Lloyd’s classic romantic comedy Safety Last! 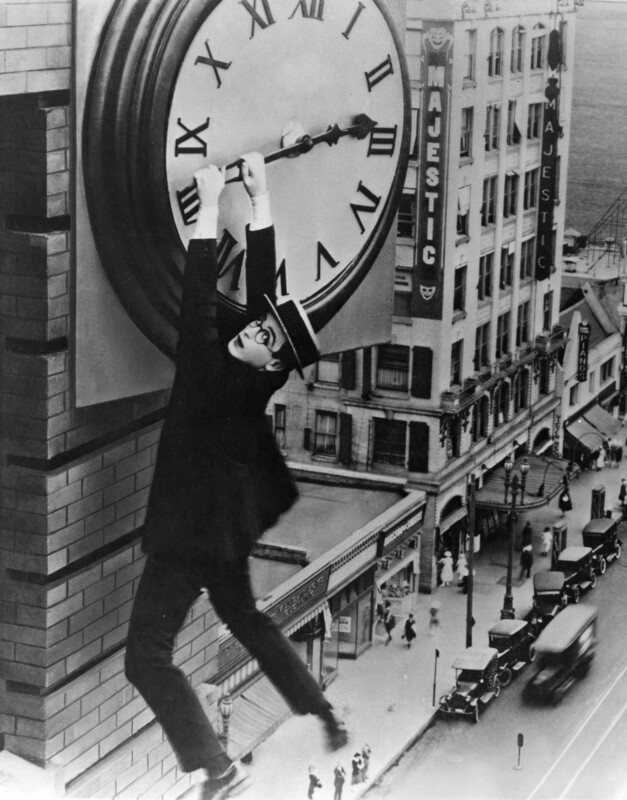 (1923), featuring the legendary scene where Lloyd hangs from a clockface at the top of a skyscraper, is inspired by 1920s gypsy jazz and Dixieland, tango, samba and the Cabinet’s contemporary take on the film score. Premiere at the Cinema Museum (5th Oct, 2014)in conjunction with Elefest. Second performance in support of the Castle Gardens Sustainability Projects, The Castle Climbing Wall (25th Oct, 2014). Events supported by Film Hub London, managed by Film London. Proud to be a partner of the BFI Film Audience Network. Funded by the National Lottery.